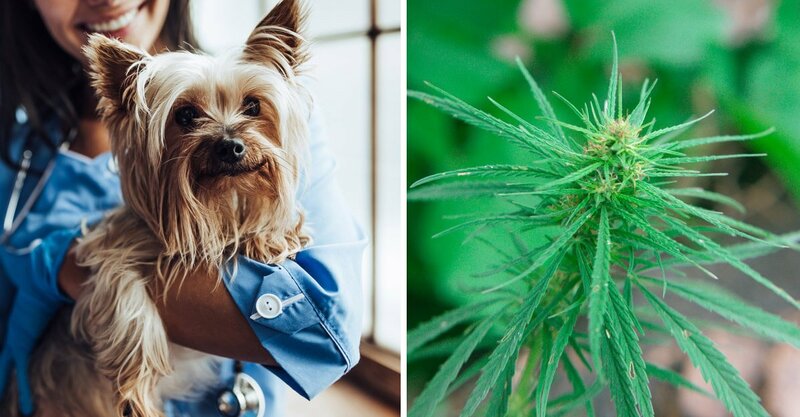 CBD (cannabidiol) for dogs has become one of the most talked about natural supplements in recent years. And while anecdotal success stories are abundant, what actual scientific studies have been done to confirm the safety and efficacy of CBD? Much work has still to be done on CBD in both humans and animals, but the results we have so far are very promising. In this article, we’ll cover some of the more significant research in both dogs, people, and other animals. Dr. Stephanie McGrath is studying the impact of #CBD for dogs with epilepsy at our #csuvethospital. Released in August of 2018, results from this randomized, placebo-controlled clinical trial demonstrated that dogs with diagnosed osteoarthritis receiving a daily dose of only 0.3 mg per kg of proprietary CBD-infused oil formulation for four weeks showed significantly reduced pain and improved functional performance. The next question addresses whether the respondents felt like CBD helped the condition for which it was given. 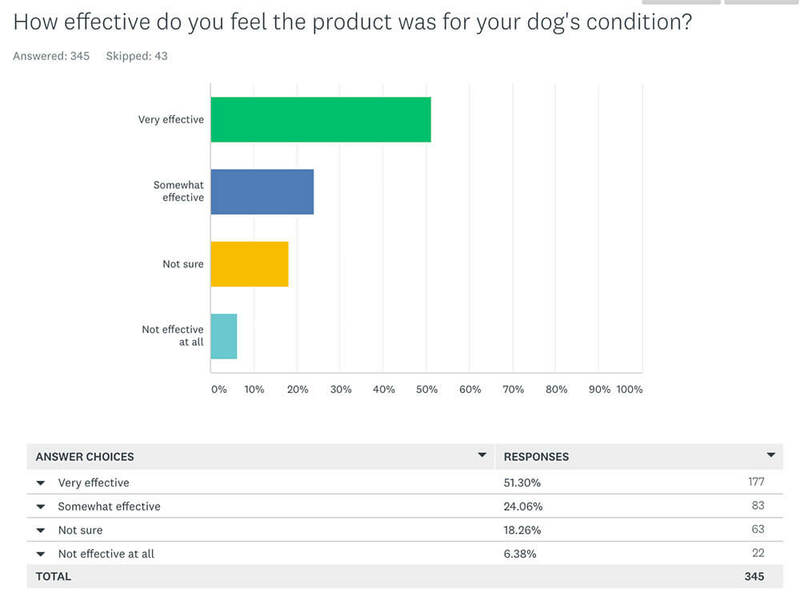 In summary, 75.3% of respondents reported that CBD was “Very effective” or “Somewhat effective” at helping their dog’s condition for which is was given. 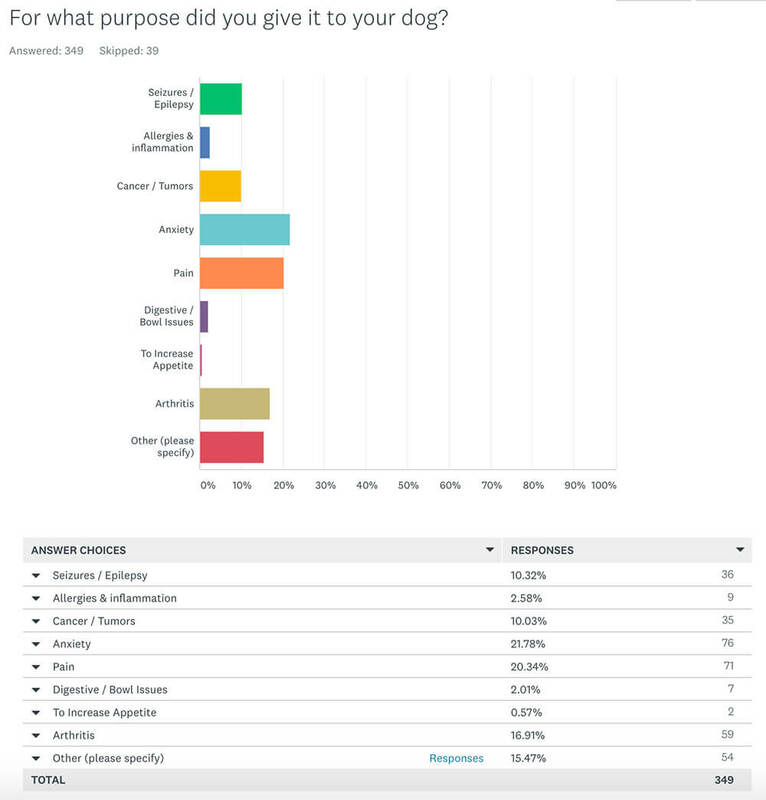 In conclusion, both the scientific and anecdotal evidence suggests CBD may be a very promising tool in maintaining health and wellness in dogs. If you’d like to learn more about CBD, please visit the resources below.